Dress: The Gap via Value Village // Tights: Really not sure // Necklace: it’s from a booth at a music festival – it’s made out of dyed acai pits! 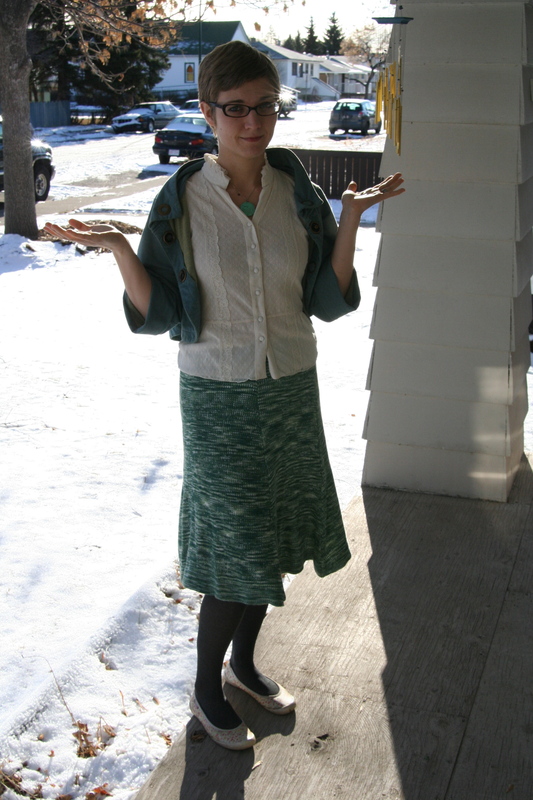 I usually wear this “dress” as a sweater over jeans, so it felt a bit short on its own, but was all right. Not much else to say today – I was cold. I considered my long underwear but didn’t feel like I could do it. Not today. I have a fun outfit picked out for tomorrow though! Speaking of which, we’re well into tomorrow already, so I should go get some sleep.